In the United States, millions of animals are abused and killed every year in laboratory experiments, a practice sometimes called “vivisection.” Many people are shocked to learn that there is no such thing as an illegal experiment. Utah law states that a person charged with cruelty-to-animals can offer a defense to the crime if their acts of abuse were connected to scientific research. 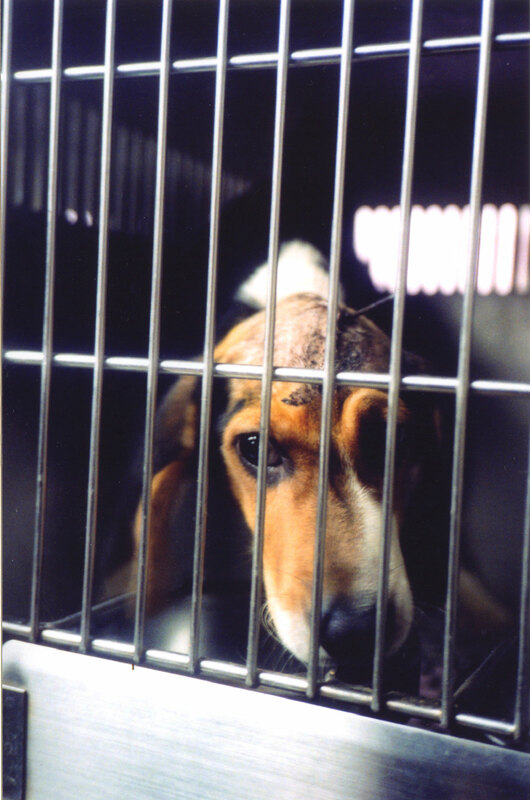 This means extreme acts of torture or abuse are legal if perpetrated within the walls of a laboratory, even if those same acts would result in a criminal conviction if done to an animal in your home.1Utah Code Ann. § 76-9-301(7)(b). http://le.utah.gov/xcode/Title76/Chapter9/76-9-S301.html. Similarly, the only federal law governing the use of animals in laboratories does not set any restrictions on the design of the experiment.27 U.S. Code § 2143(a)(6)(A)(i). 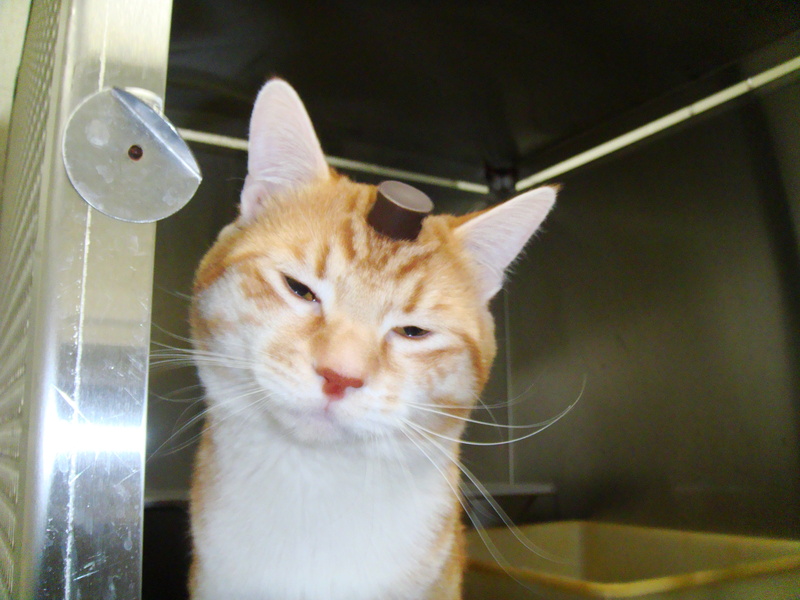 A cat named Robert was used in an invasive brain experiment at the University of Utah. Because “anything goes” in laboratories, animals suffer and die in the most excruciating ways imaginable. In toxicity experiments, dogs, rats, and monkeys commonly have experimental compounds like pesticides3Eraslan, G., Kanbur, M., Siliğ, Y., Karabacak, M., Soyer Sarlca, Z., & Şahin, S. (2015). The acute and chronic toxic effect of cypermethrin, propetamphos, and their combinations in rats. Environmental Toxicology, n/a–n/a. http://doi.org/10.1002/tox.22147. forced down their throats,4Morton, D., Reed, L., Huang, W., Marcek, J. M., Austin-LaFrance, R., Northcott, C. A., et al. (2014). Toxicity of Hydroxyurea in Rats and Dogs. Toxicologic Pathology, 0192623314559103. http://doi.org/10.1177/0192623314559103. injected into their bodies,5Yaksh, T. L., Hobo, S., Peters, C., Osborn, K. G., Richter, P. J., Rossi, S. S., et al. (2014). Preclinical toxicity screening of intrathecal oxytocin in rats and dogs. Anesthesiology, 120(4), 951–961. http://doi.org/10.1097/ALN.0000000000000148 or they are forced to inhale substances via masks that are strapped on their faces.6Werley, M. S., McDonald, P., Lilly, P., Kirkpatrick, D., Wallery, J., Byron, P., & Venitz, J. (2011). Non-clinical safety and pharmacokinetic evaluations of propylene glycol aerosol in Sprague-Dawley rats and Beagle dogs. Toxicology, 287(1-3), 76–90. http://doi.org/10.1016/j.tox.2011.05.015. Unapplied research, which commonly occurs at universities, can involve electrical shocks,7Schmeltzer, S. N., Vollmer, L. L., Rush, J. E., Weinert, M., Dolgas, C. M., & Sah, R. (2015). History of chronic stress modifies acute stress-evoked fear memory and acoustic startle in male rats. Stress (Amsterdam, Netherlands), 1–10. http://doi.org/10.3109/10253890.2015.1016495. addicting animals to street drugs,8Carroll, M. E., Kohl, E. A., Johnson, K. M., & LaNasa, R. M. (2013). Increased impulsive choice for saccharin during PCP withdrawal in female monkeys: influence of menstrual cycle phase. Psychopharmacology, 227(3), 413–424. http://doi.org/10.1007/s00213-012-2963-y. radiation poisoning,9Farese, A. M., Brown, C. R., Smith, C. P., Gibbs, A. M., Katz, B. P., Johnson, C. S., et al. (2014). The Ability of Filgrastim to Mitigate Mortality Following LD50/60 Total-body Irradiation Is Administration Time-Dependent. Health Physics, 106(1), 39–47. http://doi.org/10.1097/HP.0b013e3182a4dd2c. burns,10Rapp, S. J., Rumberg, A., Visscher, M., Billmire, D. A., Schwentker, A. S., & Pan, B. S. (2015). Establishing a Reproducible Hypertrophic Scar following Thermal Injury. Plastic and Reconstructive Surgery Global Open, 3(2), e309–9. http://doi.org/10.1097/GOX.0000000000000277 intentional infliction of psychological trauma,11Zhang, B., Suarez-Jimenez, B., Hathaway, A., Waters, C., Vaughan, K., Noble, P. L., et al. (2011). Developmental changes of rhesus monkeys in response to separation from the mother. Developmental Psychobiology, 54(8), 798–807. http://doi.org/10.1002/dev.21000. or mutilations, including sewing eyelids shut.12Kind, P. C., Sengpiel, F., Beaver, C. J., Crocker-Buque, A., Kelly, G. M., Matthews, R. T., & Mitchell, D. E. (2013). The development and activity-dependent expression of aggrecan in the cat visual cortex. Cerebral Cortex (New York, N.Y. : 1991), 23(2), 349–360. http://doi.org/10.1093/cercor/bhs015. A monkey named Frik, pictured here at the University of Utah, had holes drilled into his head and screws cemented in his skull. University of Utah (Salt Lake City, UT): In 2015, the U reported using 22 dogs, 3 cats, 6 guinea pigs, 485 rabbits, 40 monkeys, 161 sheep, 55 pigs, and 129 wood rats in experimentation. 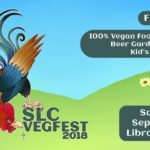 Utah State University (Logan, UT): In 2015, USU reported using 60 guinea pigs, 1,568 hamsters, 1 rabbit, 24 sheep, 16 pigs, 148 other farm animals, and 2 “other” animals in experimentation. 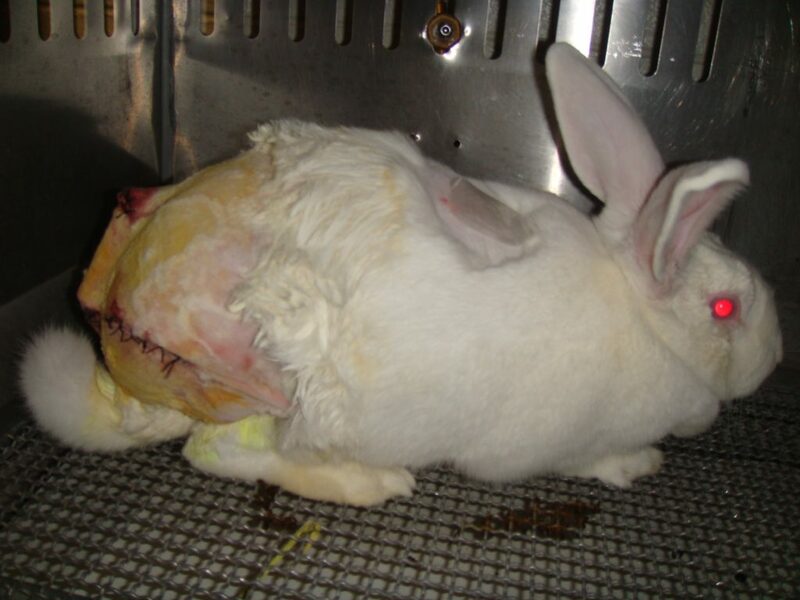 More than 1,200 of these animals were used in painful experiments without the use of any pain relief. Brigham Young University (Provo, UT): In 2015, BYU reported using 5 dogs, 6 cats, 3 hamsters, 6 pigs, 10 cows, 10 llamas, and 5 bears in experimentation. Weber State University (Ogden, UT): In 2015, Weber State reported using 33 wood rats in experimentation. Ibex Preclinical (Logan, UT): In 2015, Ibex Preclinical reported using 57 dogs, 509 rabbits, 32 sheep, and 18 pigs in experimentation. Ibex Preclinical also used 41 dogs for breeding purposes, suggesting that their dog colony might be growing. Mt. Sterling Biomedical (Cache County): In 2015, Mt. Sterling Biomedical reported using 15 pigs in experimentation. These statistical summaries do not include the rats, mice, or birds, even though species make up 95% of the animals found in laboratories. Laboratories which only use these species are not required to register or submit any report at all. UARC has received information that the University of Utah, for instance, uses more than 100,000 mice and rats in experiments every year. A mutilated rabbit at the University of Utah. Not only is animal experimentation inherently unethical, it is scientifically flawed. The U.S. Food and Drug Administration (FDA) has stated that 92% of drugs found safe and effective in animals don’t even make it out of clinical trials because they are either ineffective or too harmful in humans.13Innovation or Stagnation, Challenge and Opportunity on the critical Path to New Medical Products (March 2004). FDA Report. Scientists have published editorials in leading medical journals, including the Journal of the American Medical Association14Hackam DG, Redelmeier DA. Translation of Research Evidence From Animals to Humans. JAMA. American Medical Association; 2006 Oct 11;296(14):1727–32. and the British Medical Journal,15Pound, P., & Bracken, M. B. (2014). Is animal research sufficiently evidence based to be a cornerstone of biomedical research? BMJ (Clinical Research Ed. ), 348(may30 1), g3387–g3387. http://doi.org/10.1136/bmj.g3387. questioning the validity of animal-based research. In the 21st century, we now have cutting edge research techniques like pharmacogenomics, computer modeling, and in vitro testing of drugs and consumer products. These offer tremendous benefits over animal-based testing, as the results are infinitely more reproducible and correlate better in real-world human applications. Epidemiological studies and clinical research also provide more meaningful data for medical professionals treating patients than animal-based research. Given the fact that we have better alternatives, it’s clear that we have wasted literally billions of dollars on cruel experiments, but it is the animals that must pay the ultimate price. Because of their docile temperament, beagles are the most frequent breed of dog found in laboratories. 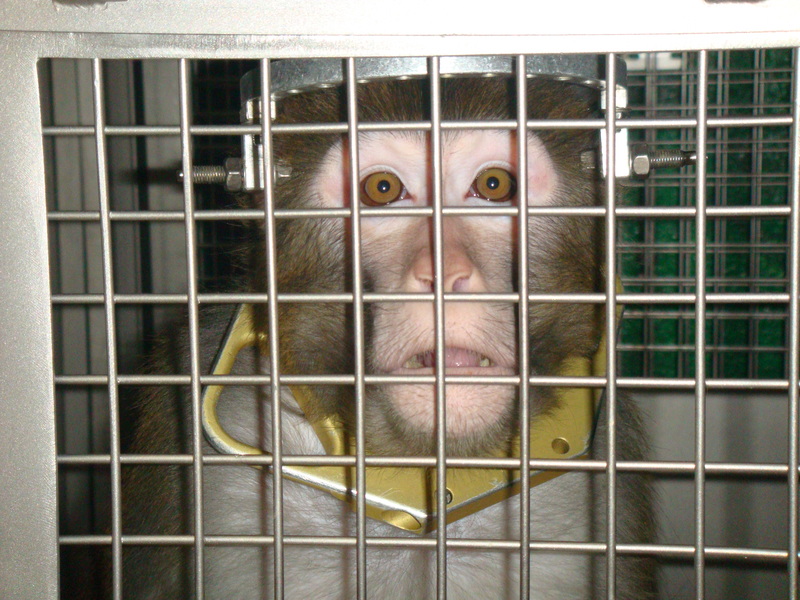 It can be very difficult to learn about what exactly is happening to animals in vivisection laboratories. Despite the fact that Utah’s largest research facilities – including the University of Utah – are connected to public institutions and receive enormous sums of taxpayer funding, these places do not allow members of the public inside. They also fight tooth and nail to keep secret any records detailing the experiments. In 2009, a PETA undercover investigator worked in this laboratory and uncovered evidence of abuse and violations of animal welfare laws. Even as recently as May 2016, the University of Utah was cited for negligently burning a monkey during surgery. The monkey was burned so badly that he or she was euthanized. The U tried desperately to keep this story under wraps, and they appear to have succeeded in pressuring one local media agency to pull its accurate portrayal of what happened in in the laboratory. Perhaps it is no wonder that laboratories try so desperately to keep their activities hidden from public view. UARC is opposed to the use of animals in invasive and deadly experiments, and urges the University of Utah and all other laboratories to replace the use of animals with better more sophisticated research modalities. We also urge laboratories to increase transparency surrounding their research activities. Many UARC board members are U of U alumni, and we regret that our alma mater engages in and profits from these invasive experiments. We encourage all alumni to join us in refusing to donate to your alma mater until they no longer use animals in experiments. 1. ↟ Utah Code Ann. § 76-9-301(7)(b). http://le.utah.gov/xcode/Title76/Chapter9/76-9-S301.html. 2. ↟ 7 U.S. Code § 2143(a)(6)(A)(i). 3. ↟ Eraslan, G., Kanbur, M., Siliğ, Y., Karabacak, M., Soyer Sarlca, Z., & Şahin, S. (2015). The acute and chronic toxic effect of cypermethrin, propetamphos, and their combinations in rats. Environmental Toxicology, n/a–n/a. http://doi.org/10.1002/tox.22147. 4. ↟ Morton, D., Reed, L., Huang, W., Marcek, J. M., Austin-LaFrance, R., Northcott, C. A., et al. (2014). Toxicity of Hydroxyurea in Rats and Dogs. Toxicologic Pathology, 0192623314559103. http://doi.org/10.1177/0192623314559103. 6. ↟ Werley, M. S., McDonald, P., Lilly, P., Kirkpatrick, D., Wallery, J., Byron, P., & Venitz, J. (2011). Non-clinical safety and pharmacokinetic evaluations of propylene glycol aerosol in Sprague-Dawley rats and Beagle dogs. Toxicology, 287(1-3), 76–90. http://doi.org/10.1016/j.tox.2011.05.015. 7. ↟ Schmeltzer, S. N., Vollmer, L. L., Rush, J. E., Weinert, M., Dolgas, C. M., & Sah, R. (2015). History of chronic stress modifies acute stress-evoked fear memory and acoustic startle in male rats. Stress (Amsterdam, Netherlands), 1–10. http://doi.org/10.3109/10253890.2015.1016495. 8. ↟ Carroll, M. E., Kohl, E. A., Johnson, K. M., & LaNasa, R. M. (2013). Increased impulsive choice for saccharin during PCP withdrawal in female monkeys: influence of menstrual cycle phase. Psychopharmacology, 227(3), 413–424. http://doi.org/10.1007/s00213-012-2963-y. 9. ↟ Farese, A. M., Brown, C. R., Smith, C. P., Gibbs, A. M., Katz, B. P., Johnson, C. S., et al. (2014). The Ability of Filgrastim to Mitigate Mortality Following LD50/60 Total-body Irradiation Is Administration Time-Dependent. Health Physics, 106(1), 39–47. http://doi.org/10.1097/HP.0b013e3182a4dd2c. 11. ↟ Zhang, B., Suarez-Jimenez, B., Hathaway, A., Waters, C., Vaughan, K., Noble, P. L., et al. (2011). Developmental changes of rhesus monkeys in response to separation from the mother. Developmental Psychobiology, 54(8), 798–807. http://doi.org/10.1002/dev.21000. 12. ↟ Kind, P. C., Sengpiel, F., Beaver, C. J., Crocker-Buque, A., Kelly, G. M., Matthews, R. T., & Mitchell, D. E. (2013). The development and activity-dependent expression of aggrecan in the cat visual cortex. Cerebral Cortex (New York, N.Y. : 1991), 23(2), 349–360. http://doi.org/10.1093/cercor/bhs015. 13. ↟ Innovation or Stagnation, Challenge and Opportunity on the critical Path to New Medical Products (March 2004). FDA Report. 14. ↟ Hackam DG, Redelmeier DA. Translation of Research Evidence From Animals to Humans. JAMA. American Medical Association; 2006 Oct 11;296(14):1727–32. 15. ↟ Pound, P., & Bracken, M. B. (2014). Is animal research sufficiently evidence based to be a cornerstone of biomedical research? BMJ (Clinical Research Ed. ), 348(may30 1), g3387–g3387. http://doi.org/10.1136/bmj.g3387.